This morning was my 5th day of the shred. Since I started a week ago, I've done 3 days of level 1, 1 day of level 2, and 1 day of level 1. The point is, despite my initial soreness, I actually do feel a (slight) difference. Level 2 is hard, though, so I think I'll hang there for a while before attempting level 3. I'm saying the hard work-out is the reason I've been craving food lately. I have a bunch of recipes I want to try, mostly from this month's issue of Real Simple magazine. There's the recipe for deep-dish pepperoni pizza that looks good as well as a bacon and Gruyere meatloaf, which I am going to try soon. I actually went to the store yesterday to buy the ingredients for it, but in the middle of the store I changed my mind and decided to make my favorite: BLTs. Last night Jordan and I went to our second-to-last pre-marital counseling session. One more, and we're all ready for marriage! Right? 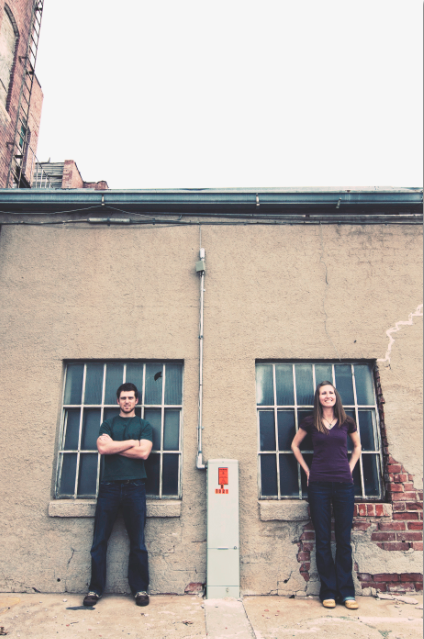 According to my friend Audra (who is nothing but honest), I look tall, and Jordan looks like he has huge muscles. When I told Jordan this, he said, "Well, that's because I do have huge muscles. And you are tall." I'm also not looking at the camera. Or...maybe I am. I tend to get shifty eyes sometimes. And THAT is a compliment. Because that guy is hot! PS My word verification is squad! An actual word! How exciting.